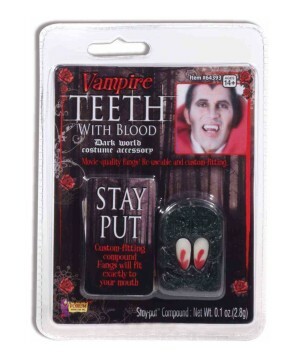 For the vampire in you! 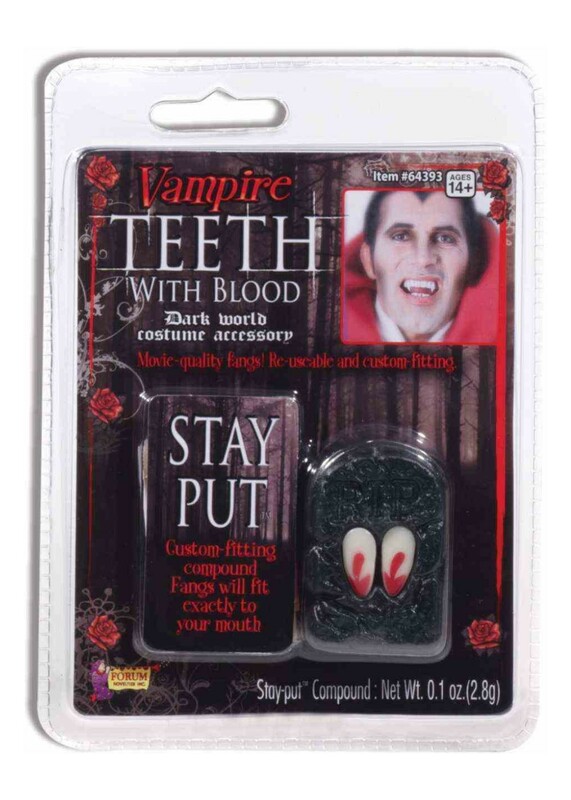 These special custom fitting Vampire Teeth are rife with details, such as the fangs with the bloody tips, as though you have just had a snack! The best part about these is that you can create the perfect fit when using the compound included in the set. The teeth are reusable. 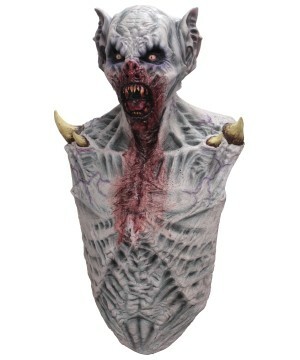 This is a great fit for your vampire costume! Fangs and blood compact included. Review(s) for " Vampire Fangs With Blood"